Two award-winning chefs create a new generation of dishes in the elegant French tradition. Between them, the Roux brothers have over 50 years of experience of cooking in grand houses and in the top restaurants of the world. 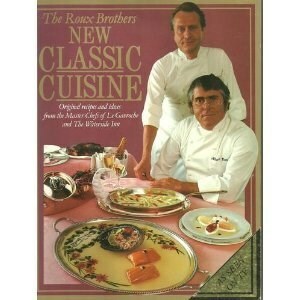 Over 150 mouthwatering recipes lay the foundation for a real understanding of classic French cuisine. With selections on soups, pates and terrines, egg dishes, salads, shellfish and crustaceans, fish, game and poultry, meat, vegetables, and puddings and desserts, every aspect of the menu is covered. Along with Michel and Albert Roux, the talents of the leading food photographer Anthony Blake, the world-famous illustrator Paul Hogarth and Michael Broadbent, Master of Wine, have combined to make New Classic Cuisine the culinary event of the 1980s.